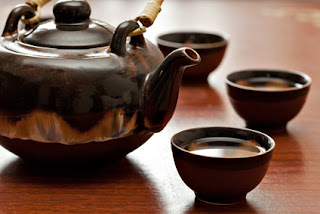 Teapots are commonly seen in Chinese cuisine, particularly at yum cha. Be aware not to have the spout of the teapot pointing at anyone as that is seen equivalent to using your finger to point directly at someone and can be considered intimidating and impolite. Try to point the spout outside of the table, or where nobody is seated.